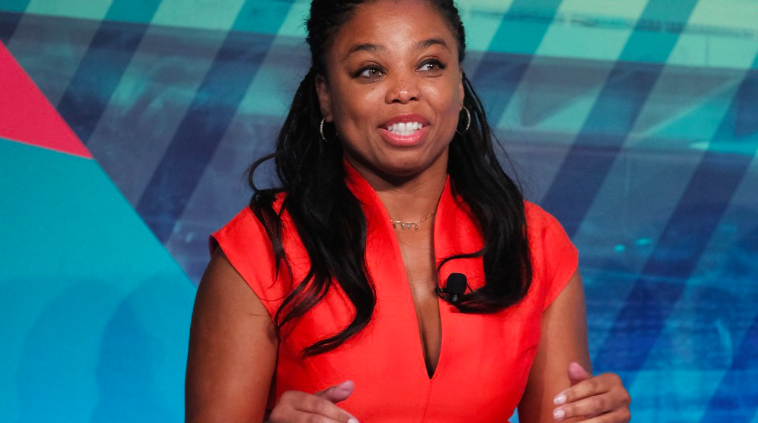 As you splendid readers undoubtedly know, ESPN lightning rod Jemele Hill has been handed a two-week suspension by the cable sports network for, yes, reckless tweeting. Hill’s second-strike tweet referred to Dallas Cowboy owner Jerry Jones’s statement that any Cowboy player who “disrespects the flag” won’t be allowed to play for his team. No matter – the corn was off the cob by then. But the hardworking staff believes that it was really her previous “impulsive tweet” that got Hill suspended, albeit in slow motion. Once White House press secretary Sarah Sanders called that tweet a fireable offense, ESPN’s tepid response to it – Robert Iger, chairman of ESPN parent Disney Co. said he supported the right of ESPN on-air talent to speak out on social issues – upped the ante for the network. And so Jemele Hill is just like John Garfield’s Frank in The Postman Always Rings Twice. Frank: Then, then what’s gonna happen to me is not because I killed [Cora]? Frank: You know, there’s somethin’ about this that’s like, well, it’s like you’re expectin’ a letter that you’re just crazy to get. And you hang around the front door for fear you might not hear him ring. You never realize that he always rings twice. Frank: He rang twice for Cora. And now he’s ringing twice for me, isn’t he? Frank: The truth is, you always hear him ring the second time, even if you’re way out in the back yard. Jemele Hill is now officially way out in ESPN’s back yard. This entry was posted in Uncategorized and tagged Bleacher Report, CNN Money, corn was off the cob, Dallas Cowboys, Disney Co., disrespect the flag, Donald Trump, Eric Wemple, ESPN, Frank Pallotta, Jemele Hill, Jerry Jones, John Garfield, NFL, Robert Iger, Sarah Sanders, The Postman Always Rings Twice, Washington Post, white supremacist. Bookmark the permalink.